Russian iconography and Orthodox Christianity have their origins in Byzantium more than one thousand years ago. After three centuries of decline, a small group of enthusiastic artists are today helping to spark a renaissance. The prohibition of icon painting in the Soviet Union was abolished at the end of 80s. Prior to that, in Soviet epoch, icon painters were forced to work underground. Iconographer Xenia Pokrovsky is one of the leaders of this Renaissance. 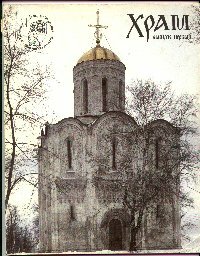 Pokrovsky started to paint icons in 1969. She graduated from Moscow University with a degree in biophysics in 1966 and worked for three years as a researcher before iconography became her true vocation. It was Fr. Alexander Men, who noticed her artistic talent, and persuaded her to change careers in favor of service to the Church. He blessed her to become an iconographer. Xenia Pokrovsky is now a master of this nearly lost traditional Russian art of iconography made famous by the world-renowned Russian icon painters Andrey Rublev and Dionisius. Their technique uses only egg-based tempera and natural mineral pigments, providing a rich palette of colors which maintain their vibrancy over centuries. The pigments are usually prepared by the icon painters themselves by grinding natural stones or purifying clays. Xenia Pokrovsky has achieved an extraordinarily high level of skill as an international restorer of 14th-16th century icons now held in private collections. Her art is firmly based on knowledge of Orthodox theology, Orthodox Church history, and the symbolic and semantic language of iconography. Pokrovsky has painted more than 3000 icons (more than 1000 in the USA) commissioned by individual believers, priests and bishops, church parishes (in Russia and abroad), and the Moscow Orthodox Church Patriarchy (as gifts of the Patriarchy to honored guests). Her icons can be found in many countries throughout the world, including Russia, the United States, Germany, France, Japan, and Philippines. Some of Pokrovsky's icons have been presented as gifts to Patriarch Dimitrius of Constantinople, Roman Catholic Pope John Paul II and Billy Graham. She exhibited in the summers of 1992 and 1995 at the 10th and 11th Councils of Orthodox Church in America (OCA) held in Miami Florida. It was here that her icons were presented by the OCA, as a gift to Theodosius, Metropolitan of all North America and Canada. She exhibited in the fall of 1993 at Gordon College in Wenham Massachusetts, Visians Gallery, Albany, NY, 1996 and many other places in the USA. Pokrovsky has designed the entire iconostases for both the American Antiochian Church, St. Andrew Orthodox Church in Lexington, Kentucky, and the Orthodox Church of Annunciation, OCA, in Brick Town, New Jersey. The latter church has splendid architecture resembling Russian Pskov style (click here). Rich collections of Xenia Pokrovsky's icons are in the Orthodox Church of Christ the Savior, Paramus, New Jersey and in the Orthodox Church of St John the Baptist, Little Falls, New Jersey. Sailor's Valentine Gallery in Nantucket, Massachusetts has a permanent exposition of Xenia Pokrovsky's icons. In 1995 Xenia Pokrovsky wrote the icon "Synaxis of All Saints Who Have Shone forth in North America"with 18 smaller icons in it (kleymos), representing the entire history of Orthodoxy in North America. The icon now is under ownership of the Orthodox Church in America. Her large and unique icon of the Russian patriarch, St. Tikhon, memorable bishop of North America in the beginning of the century, was installed in February 1998 in the newly reconstructed Church of Christ the Savior in Moscow. The icon contains, in addition to the central portion, 18 smaller icons (kleymos), depicting remarkable events of the saint's life, his difficult ministry under the Bolsheviks reign and miraculous events around his death. Pokrovsky has a large following among icon masters, many of whom have learned their art from her. She developed her own original and productive approach of tutoring iconography and always has students from different Christian backgrounds. 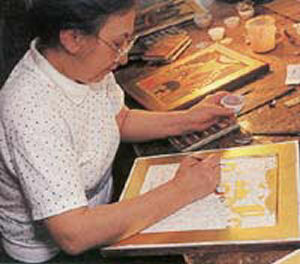 She is a founder and board member of "IZOGRAPH" the Russian society of iconographers. Xenia Pokrovsky's iconographic works are only part of the renewal being experienced in Russian culture and religious life which started with the collapse of the Soviet Empire. "Xenia Mikhailovna Pokrovsky is a leader of the society "IZOGRAPH," and she is without a doubt one of the most interesting and authoritative icon painters today." (1991) an art magazine in Russia. "The icon as celebration." This is a rough approximation of the underlying concept of this trend. The spiritual world with its unearthly beauty is portrayed by means of a play of shape and colour which is beyond the threshold of the human plane of existence. The icons of this school are beautiful ... With the dominating feature of unearthly beauty, the icon painters approach the boundary beyond which the sacred Bible story is transformed into a fairy tale, a dream of the lost Paradise. The strongest features of this school are high professional level and esthetic courage." A church art magazine in Russia about the iconographic school of X. Pokrovsky. "...a most beautiful reflection of Tabor's Light. May the Lord bless those who venerate these holy icons." "It is a blessing now to have an icon of such quality. I particularly appreciate that all the materials are natural. May God bless and prosper your work." "One who in any way comes blessedly into contact with Xenia M. Pokrovsky’s extraordinary achievements as an iconographer enters a wondrous process of divine inspiration that transforms into divine illumination. Her iconography proffers, in a quintessentially Christian Orthodox sense, the twin gifts of revelation and redemption." A Quarterly Review, and author of "The Burden of Vision: Dostoevsky's Spiritual Art"; "The Simone Weil Reader"; "Growing Wings to Overcome Gravity"
"Mrs. Ksenia Pokrovsky is widely credited with reviving the writing of traditional Russian icons, perhaps the most refined expression of the icon form." 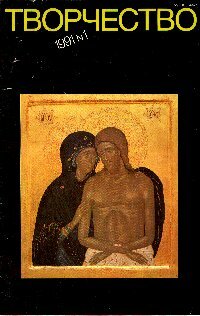 - a compehensive book by Irina Yazykova on icons and iconographers of 20th century issued in two languages Italian and Russian.